Most people have a fairly standard holiday dinner menu featuring the family's favorite dishes, but it's always fun to add something new and a little different each year. Or maybe you're taking a dish along to the in-laws' house or a potluck. These are some sure winners to try. They are the most popular sides with the highest ratings, and they are sure to impress your family and friends. Roasted garlic gussies up these creamy mashed potatoes. Roasting the garlic takes very little prep, and it adds so much flavor to the potatoes. If your oven and stovetop are covered up with holiday dishes, let your pressure cooker come to the rescue. 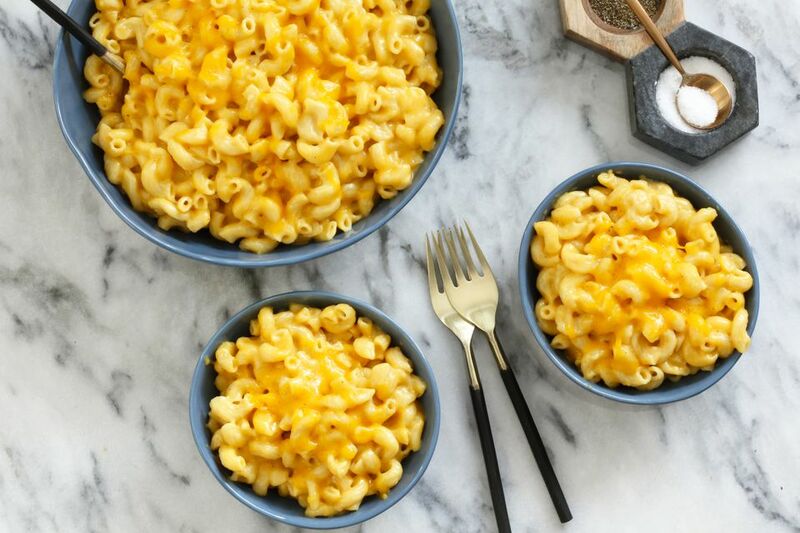 The Instant Pot macaroni and cheese is just as rich and creamy as the conventional version, and it takes just minutes to prep and cook. If you crave a crunchy, buttery topping, pop it in the oven for the perfect finish. The homemade cheese sauce takes just minutes to make, and it will take your steamed cauliflower to the next level. Whether for a holiday dinner or everyday meal, this easy cauliflower with cheese sauce should be in your side dish arsenal. A rice dish is an enjoyable side dish to serve instead of potatoes, and this orange rice mixture is an excellent choice. The orange flavor makes it a bright and appetizing dish to serve with a baked ham dinner or pork. It would make a nice side with roast chicken and many fish dishes as well. Butter, honey, brown sugar, and a little lemon bring out the sweetness in these delicious baby carrots. Garnish these honey glazed baby carrots with chopped parsley or fresh ground black pepper. Fontina cheese and cream make this leek gratin rich and delicious, the perfect side for a holiday feast. Feel free to add a buttered breadcrumb topping for extra crunch. Unlike the ever-popular classic green bean casserole, this version is made with a homemade sour cream sauce and bread crumb topping. Fresh ingredients make it a delicious alternative. If you need a shortcut for this comforting dish or don't have room in the oven, take a look at this Instant Pot green bean casserole. These scalloped potatoes are especially convenient because you don't have to use a burner or the oven to make them. The slow cooker scalloped potatoes dish is a snap to fix, and the slow cooker is portable. For a faster method, try the Instant Pot version. 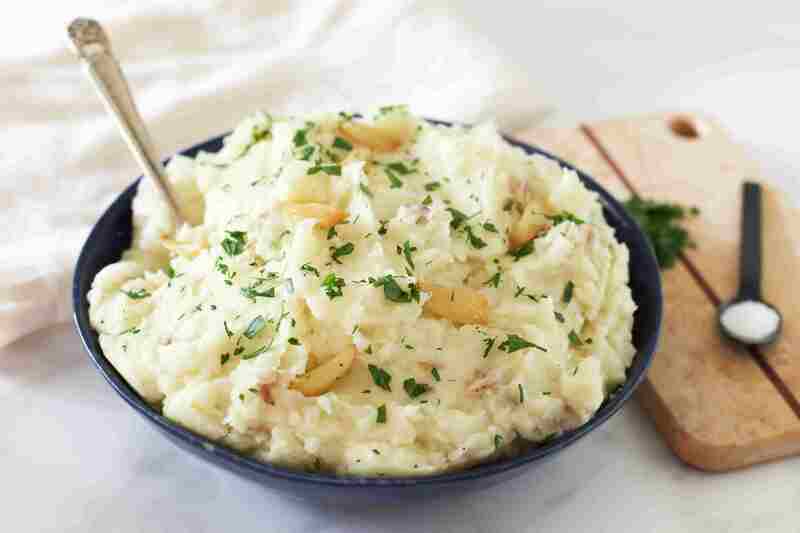 If you decide to make mashed potatoes, prepare them in advance and keep them warm in a buttered slow cooker. This broccoli salad has it all. Broccoli florets are tossed with a slightly sweet and tangy mayonnaise dressing, bacon, and raisins. Add some sunflower seeds or chopped pecans or walnuts to add a little crunch. This sweet potato casserole is, by far, the most popular sweet potato recipe in my collection. It's the classic, sweetened mixture of sweet potato filling with a crunchy, buttery pecan topping. This is a tried-and-true side dish your guests will love. No room in the oven? Try the Instant Pot sweet potato casserole. Add homemade cranberry sauce to your Thanksgiving or Christmas dinner menu. This Instant Pot version is ridiculously quick and easy. Sweet corn is everyone's favorite, and this creamy corn pudding casserole is an excellent way to elevate the vegetable. Cream-style and whole kernel corn are combined with a fluffy, lightly sweetened white sauce and egg mixture, and baked to perfection. The holidays are a great time to enjoy delicious Brussels sprouts. This Brussels sprouts casserole is a tasty gratin with lots of cheese, some bacon, and a crunchy breadcrumb topping. A combination of cheddar and American cheeses with a rich cream sauce make this creamy macaroni and cheese an exceptional dish. Use croissant crumbs for the buttery bread crumb topping. A homemade lightly spiced white sauce turns broccoli and cauliflower combination into a colorful and delicious casserole. Bread crumbs and Parmesan cheese make a simple and perfect topping to this broccoli and cauliflower casserole. A simple seasoned cream sauce and onions make these easy creamed peas a holiday-ready dish. Pimientos add a touch of festive color. Another excellent choice is this dish, creamed peas with eggs. Rain or Shine, the Cookout Must Go On!